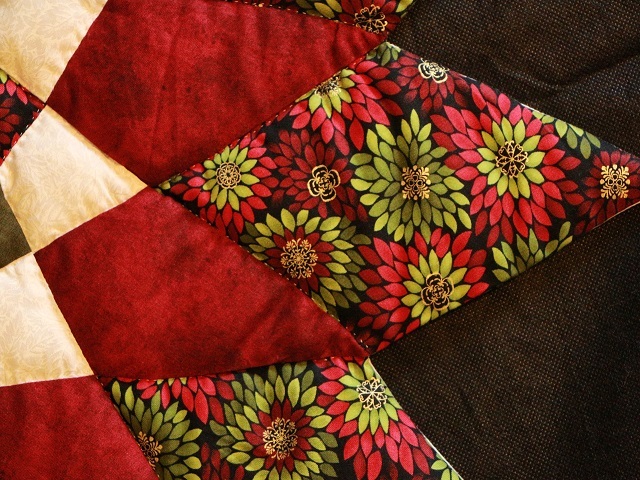 Beautiful colors to make this table top a stunning accent piece for your table. 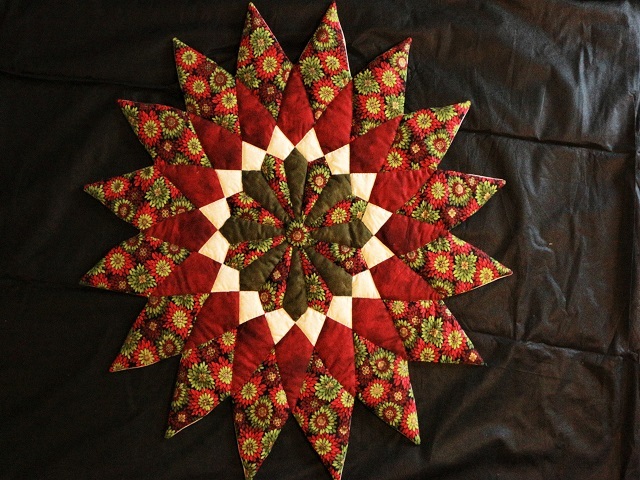 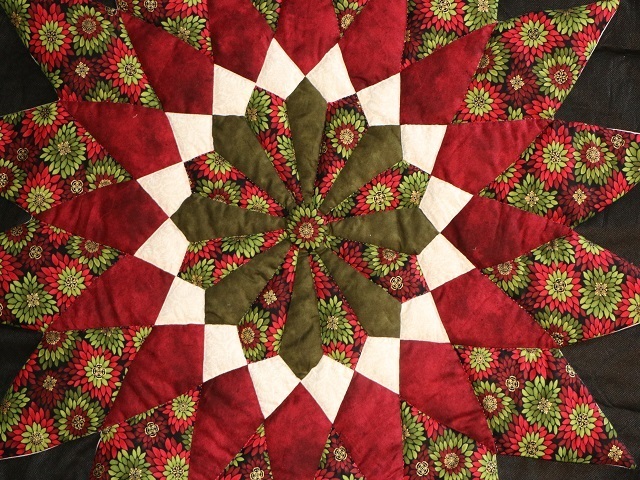 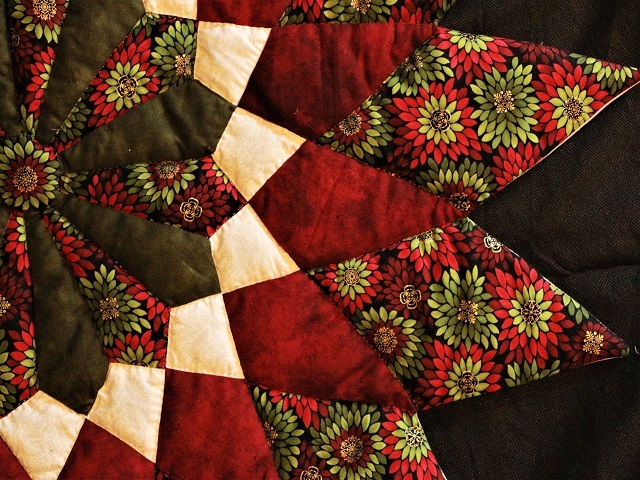 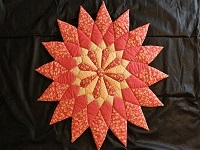 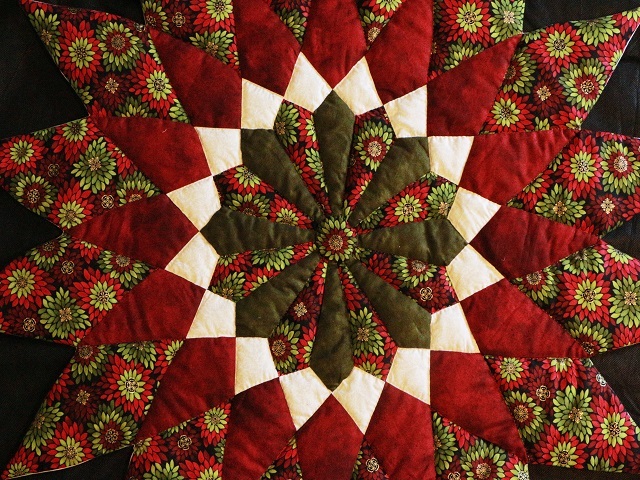 The pattern and design comes from the center of a Dahlia quilt. 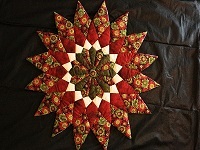 It is pieced and hand quilted by a local Mennonite lady in her home. 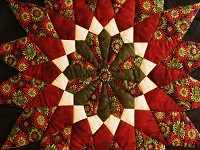 A lovely piece for your dining room table.